Mail links can be found under each post. Click the author's name to email replies, comments, etc. Archive options shows you older topics. The Michael Schwartz Library at Cleveland State University, Cleveland Public Library, and the Ohio Center for the Book, along with other founding partners Art Books Cleveland and the Morgan Art of Papermaking Conservatory and Educational Foundation, have once again teamed up to present the 5th annual Octavofest, a month-long series of events in October to call attention to the book and paper arts. "Adventure on the Atlantic: One Man's Voyage"
Memorabilia surrounding the story of the smallest boat ever to cross the Atlantic nonstop. "SLAM: Chapbooks as Bursts of Poetry"
This exhibit includes examples of chapbooks from the Michael Schwartz Library collection to celebrate bursts of creativity as both literary works and lovingly crafted paper and book art. Items date from the early 1960s through present day. September 30, 2013, 2:00 p.m. - 4:00 p.m.
An eclectic panel of speakers will discuss the evolution of poetry chapbooks, explore their significance to avant garde poets, and explain their continued importance as a means for talented, but not yet discovered, poets to make their works known. "William X 2: A Poetry Reading"
September 30, 2013, 6:00 p.m. - 7:15 p.m. The national book award winning poet William Billiter will read from his newest collection of poetry along with William D. Waltz, the 2012 winner of the Cleveland State University Poetry Center's open book competition. They will also answer questions about getting your poems published in national journals and making your own journal and/or chapbook. Light refreshments and book signing. "Subversive Sounds: Race and the Birth of Jazz in New Orleans"
Dr. Charles Hersch, Chair and Professor, CSU's Political Science Department, will present a public lecture discussion on his book, Subversive Sounds: Race and the Birth of Jazz in New Orleans. If you register for the event by October 11, 2013, you will be entered into the drawing for a free copy of Dr. Hersch's book. 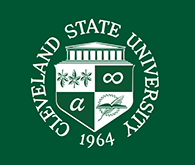 Write to Dr. Regennia N. Williams at r.williams@csuohio.edu -- subject line "Subversive Sounds." Others are invited to read library copies, or purchase copies, and join the October and subsequent book discussions. The lecture and discussion are presented with the support of the Ohio Humanities Council, a state affiliate of the National Endowment for the Humanities. Tuesday, October 22, 2013, 12:00 p.m. - 1:00 p.m.
Bring your books to fold and transform into voluminous and intriguing shapes! Find out more about Octavofest. Permanent link to this topic. Posted 2013-09-23 08:22:13. Reply to Lauren_Felder. Categories: Library News. Systems Alert: Access to Research Databases restored! Access to the Library's Research databases from the Michael Schwartz Library website, Scholar, and Research Guides has been restored. Permanent link to this topic. Posted 2013-09-17 10:30:02. Reply to Lauren_Felder. Categories: Library News. Due to a hard-drive failure on our proxy server, access to the Research Databases via the Michael Schwartz Library website, Scholar and Research Guides is temporarily unavailable. Please use the research databases available through OhioLINK at http://www.ohiolink.edu/resources.cgi until the problem is resolved. We apologize for the inconvenience. Permanent link to this topic. Posted 2013-09-17 08:35:33. Reply to Lauren_Felder. Categories: Library News. Showing posts from September 2013 only. Display other dates.